Israel's principal agency for intelligence collection, counterterrorism, and covert action is the Institute for Intelligence and Special Tasks, best known as Mossad, an abbreviation of its Hebrew name, ha-Mossad le-Modiin ule-Tafkidim Meyuhadim. In a tiny country surrounded by foes, the Mossad has been extremely active ever since its establishment in 1951. Its successes include the capture of former Nazi leaders, most notably Adolf Eichmann, as well as numerous triumphs of intelligence-gathering that contributed to Israeli victory in the 1967 Six-Day War. Mossad also conducted the legendary raid at Entebbe, Uganda, in which it rescued the passengers and crew of a French jetliner hijacked by Palestinian terrorists. Yet, Mossad has often come under criticism for perceived excessive actions against Israel's many enemies. David Ben-Gurion, Israel's first prime minister, established Mossad as ha-Mossad Leteum (the Institute for Coordination) on April 1, 1951. Mossad had a checkered record in its first decade. On the positive side, it was the first intelligence agency to capture a copy of Soviet leader Nikita Khrushchev's February 1956 "Secret Speech," in which he denounced the crimes of Josef Stalin before the 20th Party Congress. Mossad also ran several key operations in Arab lands, with Wolfgang Lotz in Egypt and Eliahu Cohen in Syria. Ephraim Halevy, in the first public address by a head of Mossad, speaks in Herzliya, Israel in 2000.
to be a political failure when Ben-Gurion reversed Mossad efforts to intimidate West German scientists who were assisting the Egyptians. Eager to develop better relations with West Germany, Ben-Gurion dismissed Mossad director Isser Harel (1952–63), who he had once accorded the title Memuneh, "the one in charge." 1960s and 1970s. Mossad, which gained its present name as the Institute for Intelligence and Special Tasks in 1963, fared much better in the 1960s. Joint operations with Shin Bet, the internal security force, led to the capture of Eichmann—who had overseen the murder of millions of Jews during the Holocaust—from his hiding place in Argentina. 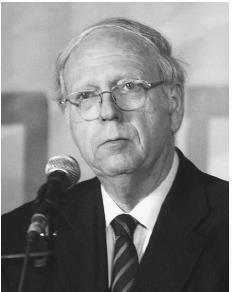 Under the leadership of Meir Amit (1963–68), Mossad focused on intelligence-gathering, which greatly aided Israeli military efforts in 1967. During this period, Mossad also assisted the defection of an Iraqi airman who delivered to Israel a Soviet MiG-21 fighter jet in 1963. In 1968, Mossad successfully captured eight missile boats that Israel had ordered from France, but which President Charles de Gaulle had placed under embargo. That year also saw the capture of nuclear technician Mordechai Vanunu, who had revealed Israeli nuclear secrets to the British press. Following the massacre of Israeli athletes by the Palestinian terrorist group Black September at the Munich Olympics in 1972, Mossad directed an assassination effort under an action team dubbed "the Wrath of God" (WOG). Over the next two years, WOG tracked down and killed more than a dozen members of Black September, but also accidentally killed a Moroccan waiter who had no affiliation with the terrorist group. Failure to predict Egyptian actions leading to the Yom Kippur War in 1973 forced the resignation of several top officers, including Mossad director Zvi Zamir (1968–74). Yet, on July 3–4, 1976, Mossad more than recovered its reputation with the daring raid at Entebbe, codenamed Operation Thunderbolt. After intensive intelligence-gathering at the site, the Israelis assaulted the plane, rescuing all but four of its 97 passengers and losing a single officer—along with 20 Ugandan soldiers—in the process. 1980s and 1990s. During the 1980s, Mossad's intelligence-gathering against Arab countries helped pave the way for Israeli airstrikes against Palestine Liberation Organization (PLO) headquarters in Tunisia, and against an Iraqi nuclear reactor. In April 1988, a Mossad assassination team infiltrated the residence of Abu Jihad, deputy to PLO chief Yassir Arafat, and killed him. Two years later, in March 1990, another hit team killed Gerald Bull, a Canadian scientist aiding the Iraqi weapons program, at his apartment in Brussels. Among the less successful activities of Mossad during the 1980s and 1990s was its involvement in the Iran-Contra affair, when it acted as an intermediary between the United States and Iran. Embarrassment surrounding the failure of Mossad to prevent the assassination of Prime Minister Yitzak Rabin by an Israeli citizen in November 1995 led to the resignation of Mossad director Shabtai Shavit in 1996. Prime Minister Shimon Peres then appointed Major General Danny Yatom, the first Mossad chief ever publicly identified. In 2000, Mossad undertook a recruitment campaign, complete with newspaper advertisements and a Web site that took applications on line. From its headquarters in the Israeli capital of Tel Aviv, Mossad oversees a staff estimated at approximately 1,200 personnel in the mid-1990s. It is assumed to consist of eight departments, of which the largest is Collections, tasked with espionage overseas. Officers in the Collections Department operate under a variety of covers, some diplomatic. The Political Action and Liaison Department is responsible for working both with allied foreign intelligence services, and with nations that have no normal diplomatic relations with Israel. Among the departments of Mossad is the Special Operations Division or Metsada, which is involved in assassination, paramilitary operations, sabotage, and psychological warfare. Psychological warfare is also a concern of the Lohamah Psichlogit Department, which conducts propaganda and deception activities as well. Additionally, Mossad has a Research Department, tasked with intelligence production, and a Technology Department concerned with the development of tools for Mossad activities. Eisenberg, Dennis, Uri Dan, and Eli Landau. The Mossad Inside Stories: Israel's Secret Intelligence Service. New York: Paddington Press, 1978. Eshed, Haggai. Reuven Shiloah: The Man Behind the Mossad: Secret Diplomacy in the Creation of Israel. Portland, OR: F. Cass, 1997. Horesh, Joshua. An Iraqi Jew in the Mossad: Memoir of an Israeli Intelligence Officer. Jefferson, NC: McFarland & Co., 1997. Thomas, Gordon. Gideon's Spies: The Secret History of the Mossad. New York: St. Martin's Press, 1999. Westerby, Gerald. In Hostile Territory: Business Secrets of a Mossad Combatant. New York: HarperBusiness, 1998.